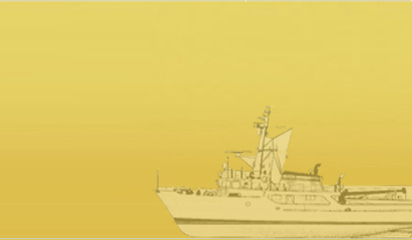 Ocean Sparkle Limited web Site is an on-line information and communications service provided by M/s Ocean Sparkle Limited . By using this site or downloading materials from the site, you agree to abide by the terms and conditions set forth in this notice. The contents of Ocean Sparkle Limited Web Site pages are Copyright © 2005 Ocean Sparkle Limited All rights reserved part or all of the contents of Ocean Sparkle Limited. Web Site pages cannot be copied, reproduced, transferred, uploaded, published or distributed in any way without Ocean Sparkle Limited prior written permission, except that Ocean Sparkle Limited consents to you storing on your computer or printing copies of extracts from these pages for your personal use only. Ocean Sparkle Limited assumes no responsibility for material created or published by third parties that. Web Site pages may have a link to. If you decide to visit any linked site you do so at your own risk and it is your responsibility to take all measures against viruses or other destructive elements. Links do not imply that Ocean Sparkle Limited . sponsors or is affiliated with any entity whose products for services are described thereon. Any materials sent to Ocean Sparkle Limited for example by e-mail or via World Wide Web pages, shall be deemed not confidential. Ocean Sparkle Limited shall have no obligation of any kind with respect to such materials and Ocean Sparkle Limited shall be free to reproduce, use, disclose, display, transform, create derivative works and distribute the materials to others without limitation. Further, Ocean Sparkle Limited shall be free to use any ideas, concepts, know-how or techniques contained in such materials for any purpose whatsoever, including but not limited to, developing and marketing products incorporating such materials. You warrant that such materials are fit to publication and you agree to indemnify Ocean Sparkle Limited if any third party takes action against Ocean Sparkle Limited in relation to such materials. For any dispute arising from these terms and conditions and activities covered thereto the Court of Hyderabad, India. Ocean Sparkle Limited nonetheless reserves the right to take legal proceedings in country other than India, to protect its interests or to enforce its rights whenever it deems it appropriate to do so. Privacy and confidentiality are values, which Ocean Sparkle Limited recognizes and respects. Visitor-specific information of a personal nature is normally not collected. However, the Web site provides a company e-mail address to permit visitor communication. When a visitor communicates with the Ocean Sparkle Limited web site via e-mail, a record of the visitor's e-mail address and name (if provided) will be maintained. Information provided by visitors when completing any on-line forms (if any) will also be maintained. Most of this Web site is freely accessible. All visitor-specific information of a personal nature that is collected will be maintained in the records of Ocean Sparkle Limited in either hard copy or electronic form. Ocean Sparkle Limited will not, under normal circumstances, provide any visitor-specific information of a personal nature to any third party. Visitors may request a modification or deletion of their personal information by regular mail or e-mail request, and Ocean Sparkle Limited will use reasonable efforts to comply with such requests. Not withstanding the foregoing, Ocean Sparkle Limited will treat any information supplied by visitors to the Web site as non-proprietary or non-confidential. Ocean Sparkle Limited also assumes that all information is provided with the permission of the actual owner of the information.